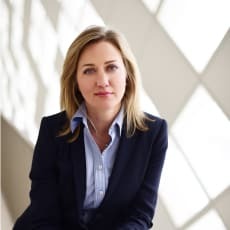 Nadya Hambach is a legal adviser with 14+ years of experience advising multinational technology businesses - eight years as in-house legal counsel and Head of Legal and Compliance, as well as six years as Of Counsel in a boutique Law Firm. In her capacity as a Member of the Management Board of the Bulgarian Association of the manufacturers and operators in the gaming industry (BTAGI), a position she holds until 2012, she participated actively in the consultation process for adopting the new gambling regulation in Bulgaria. Since June 2012 she is an Of Counsel and Head of the Entertainment and Gaming department of Velchev & Co. – a boutique law firm advising technology businesses. In October 2012 she is elected as a General member of IMGL (International Masters of Gaming Law) as the only Bulgarian lawyer in the Association. She is awarded with three LL.M degrees from the Universities of Munich (2016), London (2012) and Sofia (2004). Nadya is internationally recognised conference speaker in topics about media & entertainment, virtual currencies, data protection, e-commerce and regular contributor to key business editions worldwide.